Everyone has a shirt they come back to. Your closet is full of clothing, and yet there are always a few pieces of clothing you reach for first. That’s this shirt. It’s perfect to wear around the house, or as a layer when it gets cold, or even as something to wear to the gym. It’s light and soft and stretchy, and as such it wears like it knows you. Buttery soft 96% Bamboo viscose / 4% Spandex. What Makes a Perfect Lounge Shirt? The best fabrics. The best fit. You won't want to take it off. Satisfaction Guaranteed 100%. Our ultra-thin 96% Bamboo Viscose, 4% Spandex blend is way softer than any cotton shirt you've ever felt. Because of the stretch, it moves with you. You'll hardly know it's there. Our long sleeve undershirt is designed around our Traditional Cut. Just the right amount of room in the body allows this versatile shirt to be used for lounge and sleep and also still be comfortable under a sweater or fleece in the Winter. Our goal is to have you be a customer for life. That means making things right if we mess something up and working hard to get you in the shirts that will fit you the best. If you ever have an issue, let us know, and we'll make it right. Customers tell us they hold up to every-day use for years. If your shirt has any defects, take a picture and we’ll send a replacement. For longest life and maximum comfort, wash and dry on cold. Unlike most brands, who sell through retail chains, we sell direct to you to offer lower prices. 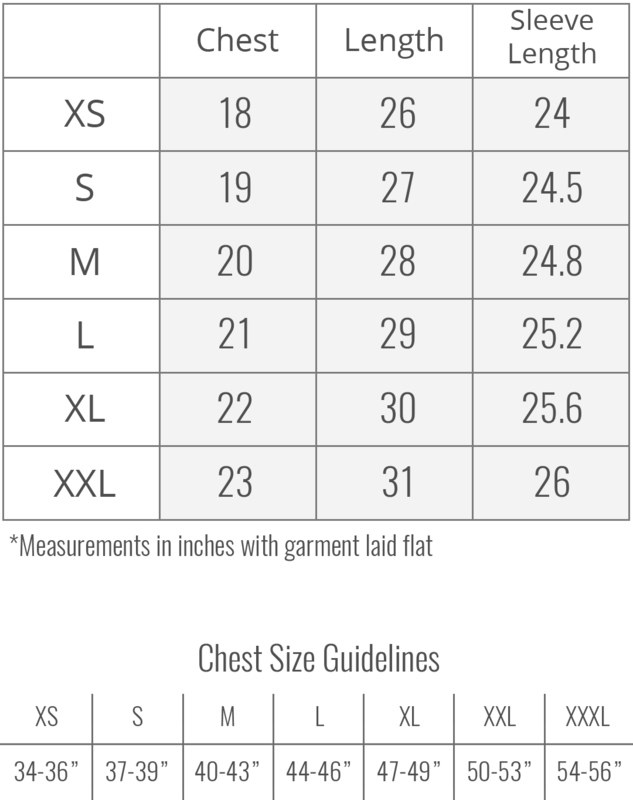 Undershirts with equivalent fabrics and finishes cost 50-100% more at retail stores. Our priority is getting you into the right fit, even if that means an exchange. If the fit's just not right for you we offer free returns on any unworn merchandise for up to 100 days. If it fit any better, you'd think we were measuring you in your sleep. Our stretch bamboo viscose fabric is as soft as any fabric we've ever felt, so it wears softly, like something you've had for years. As a culture we make too many things that last a season or two. We want you to wear this for years, so we made it to last. When will my shirt ship? A limited quantity of shirts is in stock now. They ship immediately. What's the shirt made of? The same incredible 96% Bamboo Viscose / 4% Spandex blend that makes our undershirts so comfortable. Officially we recommend that you wash and dry on cool. You save energy and your shirt lasts longer. In practice we use warm frequently. You might see a little shrinking if you dry it too hot for too long.